My twenty-third ground of 2017 was on Tuesday 12th September at Sir Halley Stewart Field in Spalding, Lincolnshire. 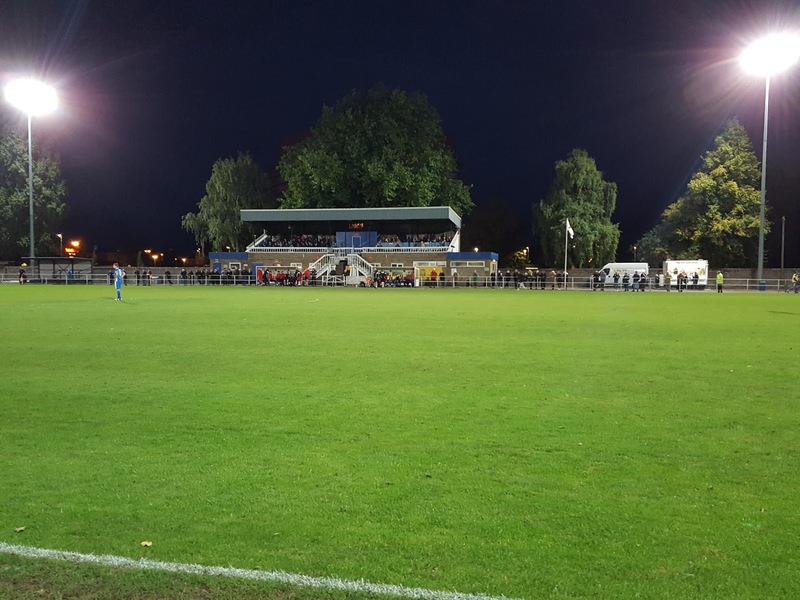 The match was Spalding United vs. Lincoln United in the Northern Premier League Division One South. Sir Halley Stewart Field is ideally placed in the centre of the town so easily accessible for fans. Its western border sits adjacent to Spalding bus station with a retail park to the south meaning there is plenty in the way of parking. The northern and eastern sides are close to housing. 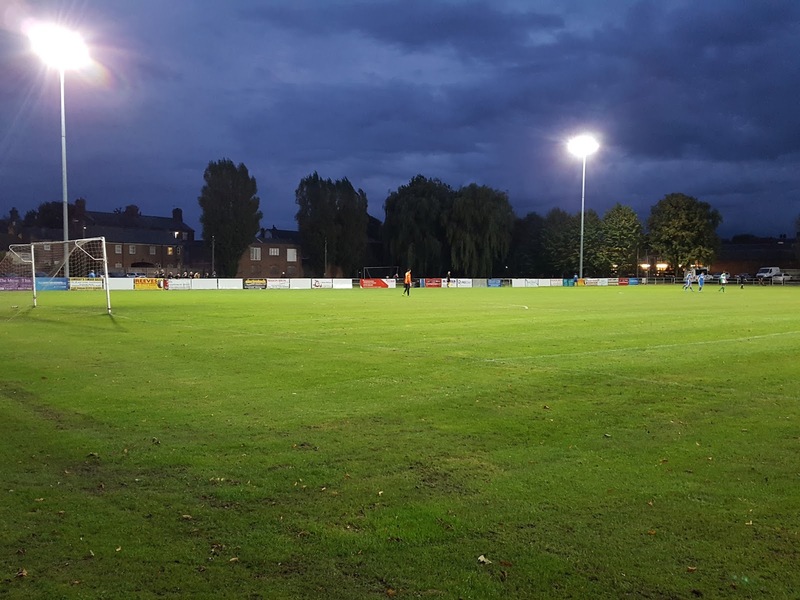 The venue is a quarter of a mile east of Spalding railway station and has been home to the club since they formed in 1921. The main stand is by the half-way line on the western side of the ground. This brick structure is raised high above the pitch to give good views of the action. The stand is split in the middle by a section carved out which contains the announcers area. As a result there is a set of stairs leading to the northern side which is just standard seating, and a set of stairs leading to the southern side which is standard seating the lower section and officials seating in the upper section. The split stairs also allows for the players tunnel to be positioned in the middle of the stand with this leading back to the dressing rooms. The two dugouts are also located in front of the stand. To the southern side of the stand there is an additional small metal terrace and to the northern side there is a decent area of flat concrete for hard standing as well as a food outlet and a programme selling area by the turnstile. The only other stand at the venue is a 4 row metal terrace behind the northern goal which contains the most vocal home support. On the western side of this stand is the clubhouse and on the eastern side a small grass area. The eastern side of Sir Halley Stewart Field has a strip of concrete for its length for hard standing and behind this a large grass section which could double as a mini-pitch. The southern end is all concrete with the back section of it given over to car parking spaces. Spalding took the lead in the 12th minute when a corenr into the box was cleared as far as Nathan Whitehead - he looped the ball back into danger and it went over everyone before dropping into the bottom corner. 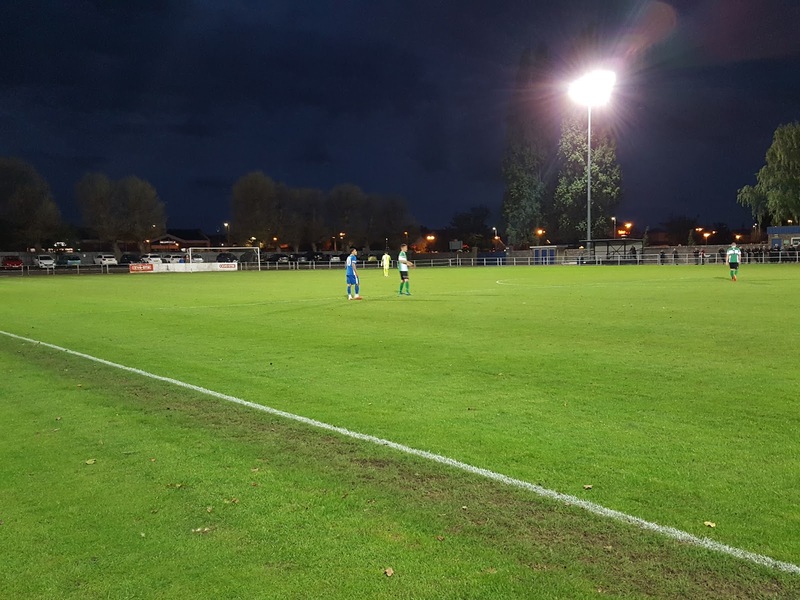 The best opportunity Lincoln had was in the 25th minute when a free-kick into the area was met by the head of Jack McGovern who nodded just wide. It was a pretty sparse first half in the way of chances but fortunately the second period saw more incident. In the 54th minute Spalding doubled their lead - the ball was played forward to Gary King who controlled it and fizzed a low shot past Lincoln keeper Jake Turner into the bottom corner. 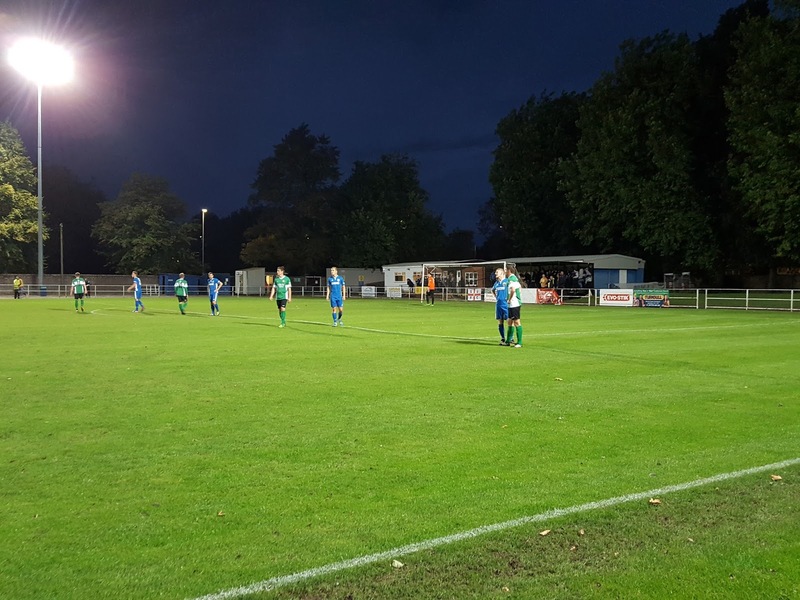 The balance of play changed in the 63rd minute though when Spalding's Conor Marshall saw red for a two-footed tackle near the centre-circle. This game Lincoln impetus and a the resulting free-kick into the box saw a shot saved at point blank range by the home keeper. With a quarter of an hour to go the away side grabbed one back - after good work down the right wing the ball was crossed to Rob Norris who tapped home. Just after the kick-off from the goal Spalding keeper Michael Duggan then had to produce a good double save to prevent an equaliser. A minute later things got even harder for Spalding as they were reduced to nine men. This came about when Jonny Lockie flung an elbow at an opponent in an off-the-ball incident. Unsurprisingly it was all Lincoln in the final stages and in the last minute Duggan saved a shot in the area - the rebound was then blazed wide and Lincoln's last chance of rescuing a point was gone.